Nourishing Body Lotion with Subtle Self Tanner. This dermatologically tested lotion. Contains the unique DeepCare Complex which includes skin natural nutrients and rich essential oil. For Normal to Dark Skin - 2 x 250ml. 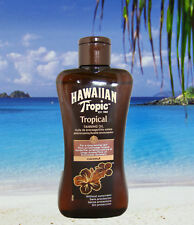 Hawaiian Tropic® "Tropical" Zero Factor Tanning Oil. 1 x 200ml bottle of Hawaiian Tropic®. Hawaiian Tropic. Formulatedby the. "Tropical" Zero Factor Tanning Oil. tanning technology (half price!). 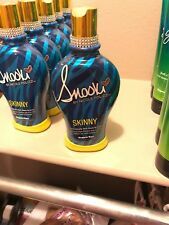 An International Tanning Sensation. Nourishing Body Lotion with Subtle Self Tanner. This dermatologically tested lotion. Contains the unique DeepCare Complex which includes skin natural nutrients and rich essential oil. For Normal to Dark Skin - 3 x 250ml. Double Dark Bronzing Lotion. 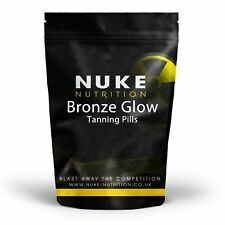 bronzing dark tanning formula that will. Go super dark with this 10X bronzing blend. harmoniously infused with advanced tanning. Incredibly Black. Incredibly Black allure. Rose water-based stick sunscreen with the maximum sun-protection power. A sun stick with fresh rose water glides onto your skin and protects from UV rays. Multi-care sun stick with cotton like texture, which can be used on face and body. Authentique Monoï Tiki Tahiti avec sa fleur de Tiare. L'Original Monoï de Tahiti avec la fleur de Tiare, en provenance directe de Tahiti. • 99 % de Monoï de Tahiti Appellation d’Origine. • Le Monoï de Tahiti fige sous 20°C. Use under your make-up or alone on your face, neck and backs of hands. A paraben-, fragrance and sensitivity-free product. Contains 9% Micronized Zinc Oxide, high-purity Niacinamide (vitamin B3) and an SPF of 46. SUNSCREEN: Not just any ordinary tanning lotion but Bain de Soleil is an excellent sunscreen in protecting your skin form getting burn under the heat of the sun but still give you that nice evening dark tropical tan. Maui Babe is a suntanning lotion made from an old secret family formula, mixed from NATURAL Hawaiian ingredients, including ALOE used by Hawaiians to heal burns of all types. Amazing Maui Babe Browning Lotion is safe for all skin types - even the fairest and most sensitive. Radiance and youthful-looking skin. 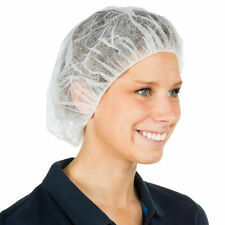 Non-Nano Zinc Oxide protection. This multi-tasking modern masterpiece does it all. Our oil-free, airy-light formula gently glides on to. Neutrogena Ultra Sheer® Sunscreen is a breakthrough in sun protection. Water Proof. Lightweight Clean Feel. Leaves Skin Soft and Smooth. Rejuvenates the tattoo. Fully waterproof. This chemical-free facial sunscreen is gentle enough for even the most sensitive skin types. Size : 57 g / 2 oz. Terns Of Sale. Quadruple Bronzing Accelerator. 4X Bronzing Blend. Size 250ml. Delectable advanced tanning accelerators and skin care ingredients create a Beautifully Dark glow. Yeah.I Know! There is no need to be brown with envy - You're Beautifully Dark. Eine getönte Rezeptur für gesundes Aussehen mit effektivem Schutz der Gesichtshaut vor aggressiver UV-Bestrahlung. Laboratoires de Biarritz, 20 avenue de la Reine Victoria, FR-64200 Biarritz. (die angegebene Höhe ist für den Einwurf in den Briefkasten notwendig. ). Rapidly cool your skin with this fast-absorbing Piz Buin After Sun Tan Intensifying 24hr Lotion. Soothe the burning on your arms and legs from excessive sun exposure while playing football or swimming. Very high factor sun protection with UVB 131 and UVA 67 colour. A coloured texture that provides a natural tone and softens imperfections, unifying even the skin tone. Protection against visible light (HEV) and infrared radiation (IR). UVA 5 Ultra - UVB SPF30 High. BB Facial Sun Protection. Intense Advanced. Protect & Perfect. Triple Protection, Sheer Colour. Monoï Tiki Tahiti en provenance directe de Tahiti. Authentique Monoï Tiki Tahiti avec sa fleur de Tiare, parfumé à la Noix de Coco. •98 % de Monoï de Tahiti Appellation d’Origine. • Le Monoï de Tahiti fige sous 20°C. Ultrasun Sports Transparent Sun Protection Gel 200ml. Water resistant transparent sun protection gel from Ultrasun with antioxidants, fast-absorbing, non-greasy and non sticky which is ideal for active sports people. Coconut Cabana Tanning Lotion with advanced 200X Island black bronzer. 13.5 oz.